You can use “on hold” telephone time for your business’ benefit and create a smart business tool. Considering that incoming calls are the best source of already interested prospects and that seven out of ten callers are usually placed on hold, you want to keep those callers interested and their minds busy while they also receive additional information about the products or services that you have to offer and enhance your professional image. Callers will hold approximately three minutes longer when listening to music along with information. Using a provider of licensed background music is a very important protection for you because playing music on the hold system is commercial broadcast. If you chose the music yourself, you would have to pay annual licensing and royalty fees to the writers, musicians, writers, and composers of that music or pay a large penalty. Of interest is that 20 percent stated that they purchased additional services and products based on content they heard while they were on hold, which means additional profit. Your on hold program needs to clearly convey that your company is the best choice to order from. 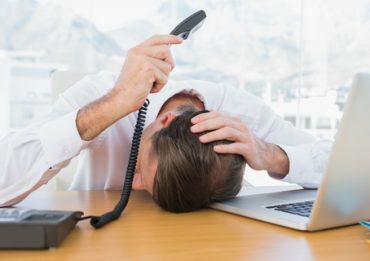 You do not want to risk losing the call and having them hang up because of frustration from having to wait, and 60 percent of business callers who are placed on hold will indeed hang up. It has also been noted that 34 percent of callers who hang up will not call back, and that means a loss of business and a dissatisfied customer. On Hold Messaging can reduce caller hang ups by close to 79 percent, and the callers were more likely to exhibit interest in the products mentioned and were less agitated. Ad-Hold, headquartered in Lewisville, Texas, can create a custom on hold message in any format you prefer that will introduce and promote your business and products. Since 1986, Ad-Hold has been featuring the finest professional and high-quality on hold advertising programs that promise 100 percent customer satisfaction. The programs are digitally produced for almost any two line or more phone system and offer exceptional voice talent by either a male or a female, a large selection of licensed background music, and creative professional script-writing, all at competitive prices. Regardless whether your business is large, small, or home-based, technology is available to use this effective service. How often should you update the script on your program? That can be judged based on how often you have new services or products to introduce and whether you have the same customers calling in often to place orders or just calling much less frequently. 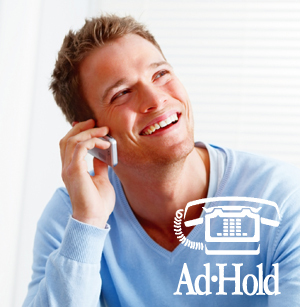 You are welcome to contact Ad-Hold’s friendly and helpful staff to answer any of your questions, give you more details, and help guide you to just the on-hold program that will serve your individual needs. Contact us today!